To see the table that Amy referred to that further contrasts debate, discussion and dialogue, click here for a resource linked through brownicity.com and developed by the University of Michigan. The goal on for comments both here on the blog and on my social media is to foster dialogue and build community. I want it to be a safe place for everyone, so I’ve created new Rules of Engagement. Click here to read how you’ll be protected in my online spaces. Will You Go a New Direction with Me? Watch the video below or click here to watch Amy’s message. I’ve been writing about learning to use our voice for God’s purposes in the world, and it’s a beautiful endeavor. Using our voice for God brings freedom. But using our voice can also be painful, and this week no one knows it better this week than the victims of childhood sexual abuse whose names were included in the PA Grand Jury Report. Barry and I had the deep privilege of being at the book launch for Denial, authored by my dear friend Nanette Kirsch last summer. Her book is based on a true story of the 1,000+ Victims of the PA Grand Jury Report, but while she was writing, she had to deal with her own story. Here’s how God is using Nanette’s voice and what she’s learning about the joy and pain of speaking out. Please welcome my friend, Nanette, to the blog today. Thirty-seven years ago I was sexually abused by a teacher at my Erie, Pa., Catholic high school. From that time until four years ago it was a secret I lived with — until God decided to redeem it. First, he used my experience to write a book for survivors of sexual abuse. Denial is based on a true story of a close friend whose life ended tragically as a result an abusive past. He called me to speak out about sexual abuse as spiritual warfare that attacks its victims’ ability to experience love with others and with God. During this time, I experienced first-hand that speaking truth comes at a cost. I encountered forceful and frightening spiritual attacks on my family and me. At year’s end, God led me into respite, bringing miraculous healing to those battle wounds and offering me a time of rest. Earlier this year, however, I knew a new season was approaching, a time to build on my strength. And I entered it knowing it would provoke new, stronger opposition. I also knew that this time it would be more personal; no more holding my past at arm’s length. For months I contemplated sending a copy of my book to my abuser with a letter that would hold him accountable for his actions and call on him to repent, if he had not done so. I wrote the letter…and rewrote it, but did not feel God’s confirmation to send it. Then, out of the blue, I received a text message from a friend with a link to a new “Public Disclosure List” created by the Bishop of the Erie Diocese, the first list in the nation to include laypeople. I emailed the address provided, certain God had opened this door to me. I shared my allegations, lifting the lid on the emotion and anxiety once again. And a month later, my abuser’s name was published to that list. It was a victory — but it too came with a cost. Speaking openly, honestly and fearlessly (okay, not quite fearlessly) about my abuse brought my past back into my present. In the weeks that followed I had four extremely vivid dreams about my abuser. Last week, I wrote about this cost and named my abuser, publicly linking his name to mine for the first time in a blog post on Medium. Here’s what I am learning from our tender, loving, yet fierce Father. More often than not, what he asks of us in this life is to hold our tongues, to remain silent when our sinful natures want nothing more than to lash out. But in each of our lives there will come a time when he calls on us to lift our voices, to speak truth from the mountaintops, with love, for his glory. Note: Adding no extra cost for you, there are affiliate links in this post. You can read the whole policy here. When Lucretia Berry said those words in a podcast interview Cheri Gregory and I did with her recently, the weight of them rang through my heart like a tolling bell. Beautiful. True. Since I was a little girl, my heart has been tender toward the issue of race; however, I shut down in the last decade or so. It seemed too complicated to unravel the problems. Too painful. Too hard. Too politicized (internal ouch). But God has been re-awakening me. Teaching me and changing me. He has shifted my heart to want to be part of a solution in my little part of the world. The story I told in today’s Encouragement for Today devotion The Glares that Changed the Way I See Others is one I’ve carried in the recesses of my memory for decades. To be clear, I have a terrible memory. I don’t remember LOTS about my past, but God has used emotion and conviction to embed some shaping experiences and ideas. Feeling the momentary stab of racism that day in Scotland is a memory that’s carved on my heart. I believe it’s remained with a purpose. It was meant to be retold today to restart my journey, and hopefully yours, toward unity. God is using Lucretia Berry as a compass to find grace in the issues of race, and I want to share her with you! Here are the links to the Grit ‘n’ Grace interviews Cheri and I did with Lucretia. I pray that many of you will click on the links below, download them and listen so that you can launch out toward unity with me! 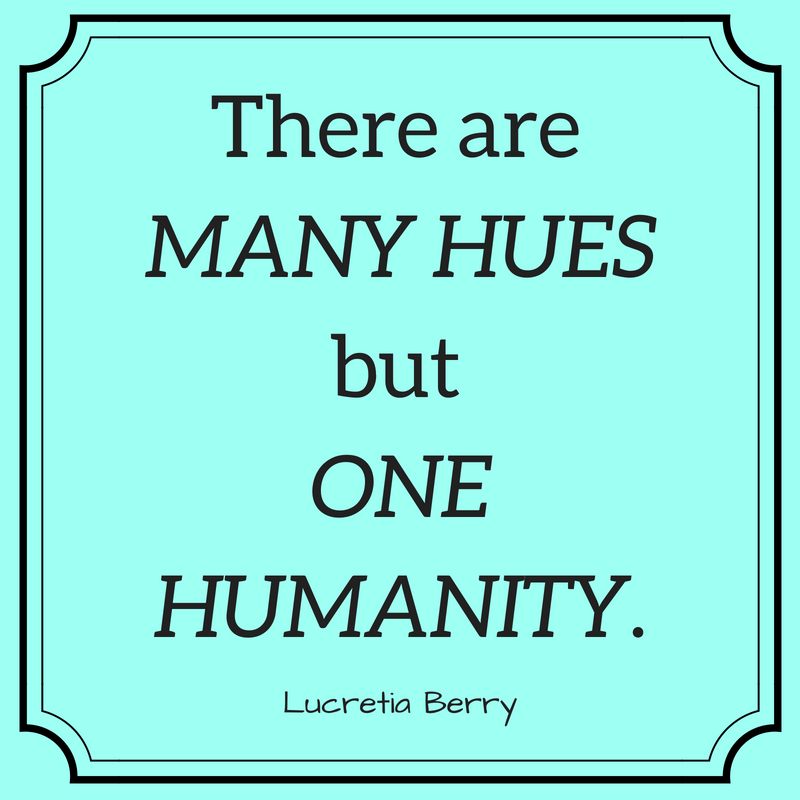 In these interviews, Lucretia Berry shares how to build our vocabulary and emotional muscles for having difficult but transforming conversations about race. Throughout these riveting episodes, Lucretia shares her personal journey of discussions in her family and equips us for these conversations in our own lives. These interviews are for every person who has watched the problems of race on the news and thought, I wish I knew what to do to help. ** Make sure to follow the links in the Recommended Resources to Lucretia’s excellent curriculum and website. I’m in the process of developing a more tender heart and a stronger voice. What does that mean? I’m being called off the sidelines into speaking with conviction on the topics that are flooding our culture. Topics God cares about and speaks about in His Word. It’s my deepest desire to do it the right way, seeking His truth through Scripture every step of the way. I’m building a community of women here who are growing in the same direction. Would you join me? I promise that I won’t start telling you what to think. I’ll be digging into how to think about our culture’s issues based on Scripture. Periodically, I’ll send exclusive content to subscribers, my friends who are learning with me. Next month I’ll send a special resource to subscribers only with beginning steps about how to have positive discussions about race in your home. Click here to become a subscriber today so that you’ll receive a weekly encouragement in your email box along with free special resources developed just for you. Y’all, I love a project. I mean I dearly love a project, especially if it’s for my home. Spray paint and chalk paint are my favorite mediums for almost-instant gratification. 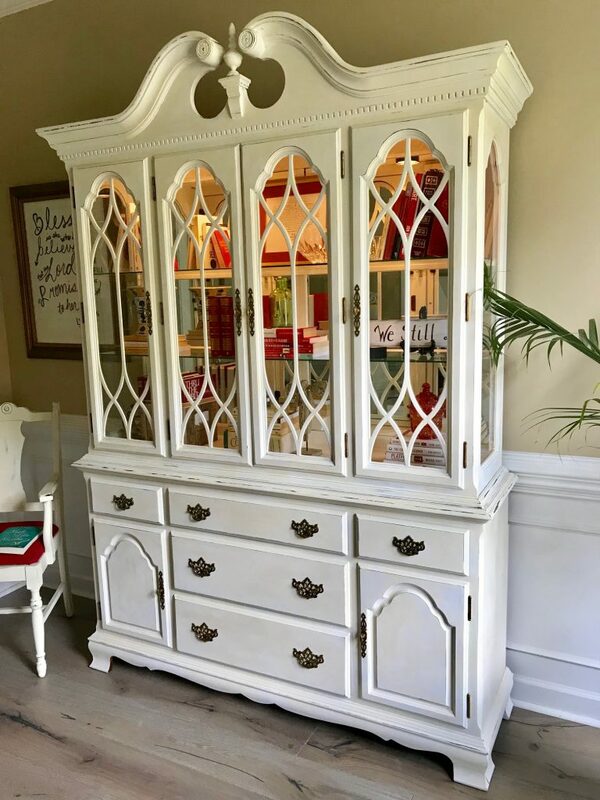 This project, painting my china cabinet to use as a bookshelf in my office, was one of my favorites. 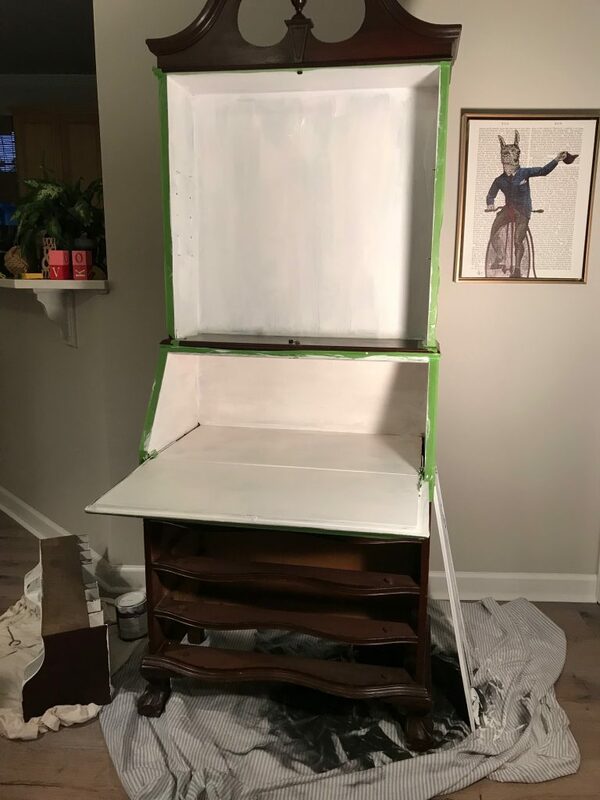 Of course I started chalk painting with the LARGEST piece of furniture in my house. I’d like to say it’s because I’m a go-big-or-go-home kind of girl, but really I was scared to death. Thank heavens it turned out better than I dreamed! I guess you could at least say I’m an all-in girl. Now I’m hooked, and I’ve just started a new project. I know. 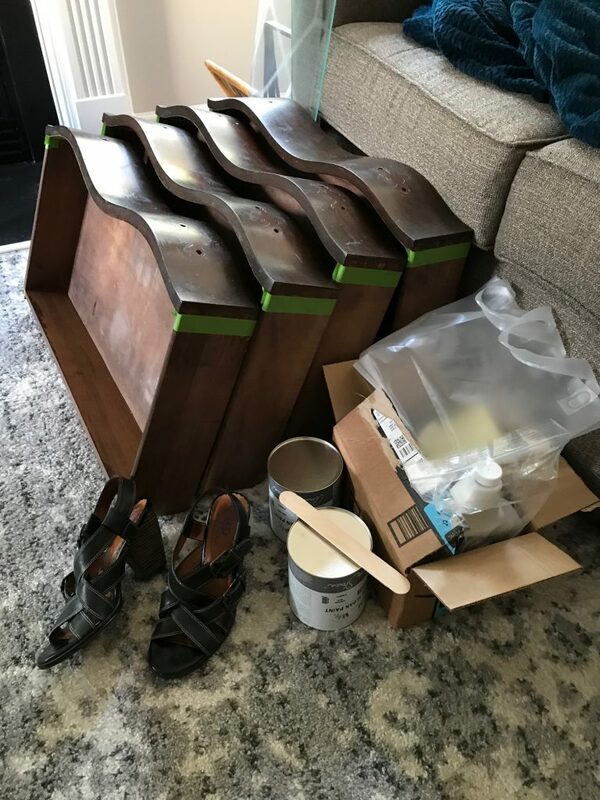 Those of you who love old furniture are hyper-ventilating right now. I’m so sorry. Truly. But it was all banged up and need a little new life, so it’s going to be a gorgeous peacock blue soon. I’ll post the final product on Facebook if you want to join me over there. 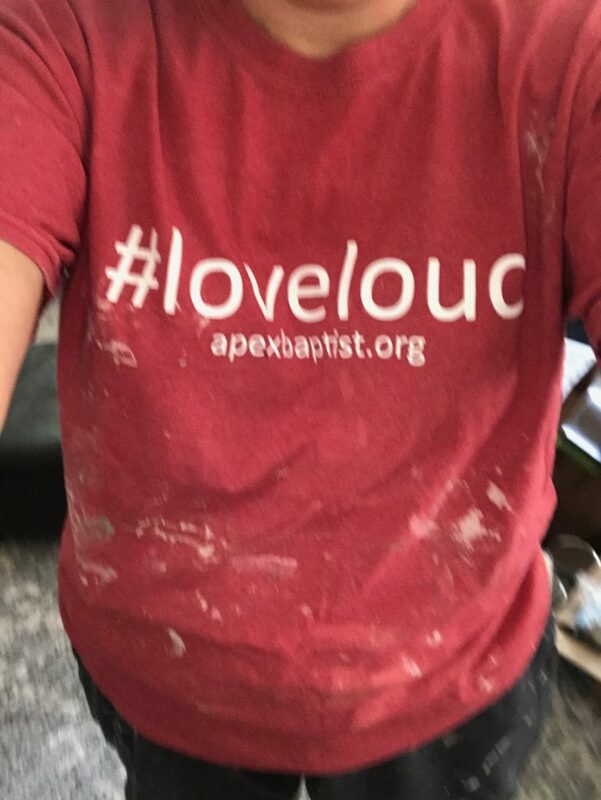 And I’m a terribly messy painter, so I even have special messy clothes. Can I share something with you? That’s what my insides look like right now, not just my physical surroundings. For months, God has been doing a project on my heart. The true beginnings were back in the spring when I attended a conference. Although I enjoyed the conference, I didn’t find myself particularly emotional over any of the speakers. Until the end. By the end of the last session, I was holding myself together by a thread. The weird thing was that it wasn’t even the message I had heard. It was just a move of the Spirit. Making a mad dash to the parking lot at the end, I made it almost to my car before I started sobbing. I was still heaving with sobs when I got home. It was like nothing I had ever experienced. Without getting all mystical on you, all I knew was it felt like I was being plowed for a planting. For months, God has been uprooting and stirring and shaking, and yet I’m still not exactly sure what’s happening or where I’m going. I’m in between, and it’s a mess up in here! I’m definitely not unhappy– in fact, it’s a particularly peaceful season of life otherwise. I’m just waiting to see the end result of this Divine Project. Here in the messy middle, I’m taking some steps. One at a time. You’ve gotten some hints in my last few blog posts, but I really don’t know what the end result will be. What I do know is that I’m going to take a little blogging break for at least the month of July. You know that I do this almost every summer, but this break will be more intentional. It’s going to be a time to get quiet and see if God has more to tell me about what He’s doing. Have you been in a place like this? A season when your spirit is unsettled, but you’re sure that God is remaking something in you for your good? When I come back, I’ll share some of the steps I’ve taken to seek God. To sit with Him. I may only be leading from one step ahead, but I want to do this together. Let’s hold hands as we grow. Be back soon! I’m almost always a day late and a dollar short, so I’ll probably never have a viral post. I’m not the girl with the fast reply or quick wit. I’m a ponderer. A processor. A pick-it-aparter. But don’t let that fool you. Don’t think that I’m silent because I’m not passionate. The opposite is actually true right now. I’m quiet (for now) because I’m so passionate. When I’m passionate and I speak out of the emotion of passion, I almost always regret it. I have friends who are thoughtful and eloquent under pressure and in the heat of the moment. I wish I were that woman, but I’m not. Instead, I tend to switch into “Action Amy” mode, and usually “she” wreaks havoc. I earned that nickname when I was a college-student on a mission trip, and did I mention that it wasn’t a compliment? I was the assistant leader on a missions trip with “Praying Pam.” Pam was measured– quick to pray and slow to speak. I was impulsive and quick to jump in to make things happen. Guess who the teens we led liked and respected? Not much of a puzzle, huh? I learned some painful but powerful lessons on that trip, and Jesus has continued that work in me over the years. He wired me this way, but He’s been growing me in how to manage that wiring. Jesus is teaching me how to harness my passion and measure my words. However, multiple times in the past year, I’ve found myself grieving over the words I spewed as emotion carried me away over something I felt strongly about. Good things. True things. Right things. But said in the wrong way. Last Sunday, in a series my pastor is teaching on Daniel, I found the key I needed to lead me to a better place, a space in which I speak about my passions without blowing up the room and everybody in it. In the midst of a huge crisis with evil lurking the passage says, “Then Daniel responded with tact and discretion to Arioch, the commander of the king’s guard, who had gone out to execute the wise men of Babylon.” (Holmon) Knowing that he himself faced an unfair and near-certain death, Daniel didn’t explode. He responded to injustice with tact and discretion, or as my NIV version adds, wisdom. There it is folks. It’s what I need… It’s what we all need in the midst of high-passion situations– tact, discretion and wisdom. Some people I know are gifted with these traits. God seems to have woven it into their DNA, but they aren’t just gifts for some. We can all have the gift of wisdom if we ask for it (James 1:5). God just seems to have wired me to need to ask and then wait. In the wait, He refines my words but solidifies my passions, just the combination I need. I have some things burning on my heart. Some things that are consuming my thoughts. And I’m dying to talk to you about them, but it’s not time yet. It’s not time because I’m mad, not yet measured. It’s not time because I’m grieving, not yet full of grace. 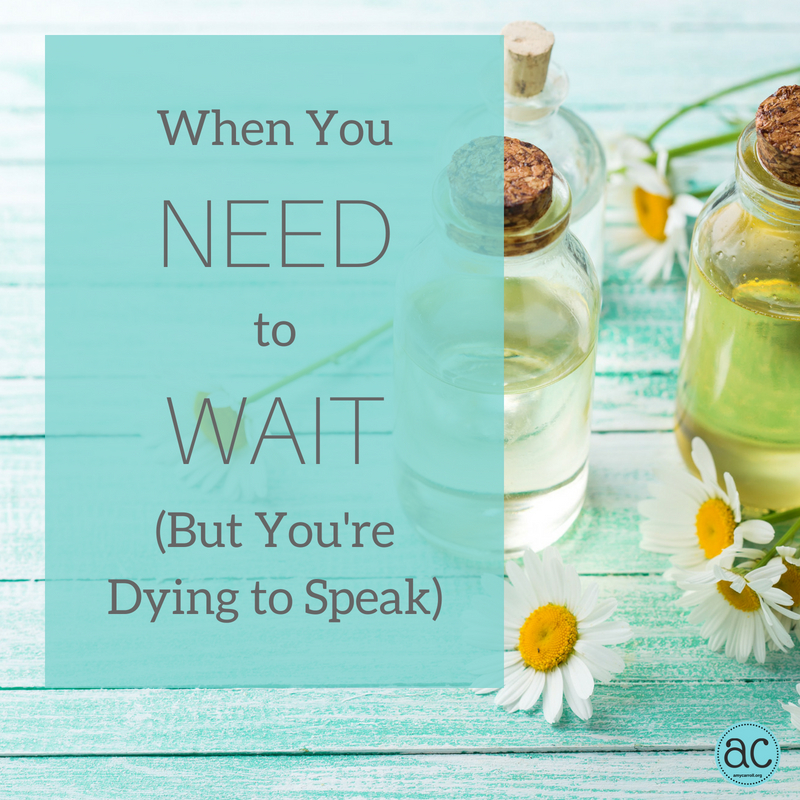 My friend Michele Cushatt recently modeled a wise wait for me. I commented in Instagram recently on the link to one of her articles (below), and it opened a message dialogue between us. When I told her that I was too mad to speak yet, she told me that the article I love sat in her saved posts for months while she worked through it and refined it. Because of that wait, her post is full of tact, discernment and wisdom. 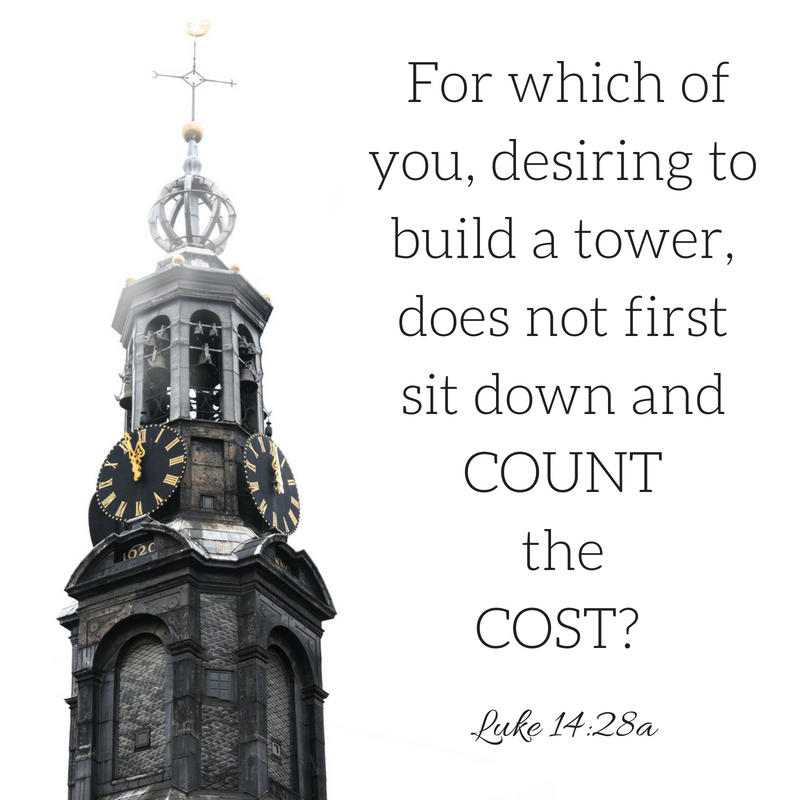 In this post, I want to do two things. I want to give you the gist of what God is doing in my heart, because I think it’s part of a move of the Spirit that God is doing in His people. It’s my desire for us to join that move here. Also, I want to give you some links to those who are addressing these things well so that you can dive in and prayerfully think about these issues. I’m not ready to unpack all of it yet, but I don’t want to be silent either. These things are too important to me. The thread that’s binding all my thoughts and heart-movement together is that we are all made in the image of God. Not one race. Not one gender. ALL. I didn’t know what I didn’t know about the divisions of race in our country, but that can’t ever be an excuse. I’m learning and listening. Finally, I’m learning that I don’t have to agree with every point of every voice that’s speaking in a movement, but in order to grow, I have to listen to brothers and sisters with voices outside of my limited experience. I refuse to reside in an echo chamber any longer. That only keeps us stuck. For my whole ministry life, I’ve been about deeper relationships with God and each other. The list above is only an extension of that passion. The only change is that circle just keeps getting bigger. I love each one of you, sisters, but I know that some of you are worried about me after reading this. 🙂 Can I reassure you? Jesus and I are good. So good. And I’m searching the Scriptures as the source of answers, not just reading blogs and watching YouTube. I want to urge each of you to do the same. Commit to let God’s Word reshape you. Commit to allow God’s Spirit to move you (even into uncomfortable places). Commit to listen and learn. Commit to exhange political ideology for Truth. When I’ve waited and I know I’m being led by wisdom, tact and discernment instead of emotion and passion, I’ll write more about these things. Until then, let’s journey and grow together as sisters. How Can I Be 50 and Still Bad at THIS? I’ve been sent back to Kindergarten by God AGAIN. In the past, I’ve had to go back to relearn the basics like love and trust and belief. It’s happening in a new area these days. These new lessons are painful, but I’m thankful that I’m finally learning to listen. But I’m wondering… how can a woman like me who loves people–I mean really loves people (! )– get to the age of 50 and be such a poor listener? Several months ago, Lisa Allen, my fabulous leader at Proverbs 31, approached me about being part of a new group at the ministry. It’s a group that’s going through a curriculum called What LIES Between Us by Lucrecia Berry that helps Jesus followers wrestle with issues of race, seeking to create a space where believers of different ethnicities move forward together in unity. I was thrilled! Lisa’s invitation was an answer to a desire of my heart. “How can I be part of the solution?” I cried out over and over as I’ve watched the news the last few years. I believe racial reconciliation is a place where the church should be leading the way. 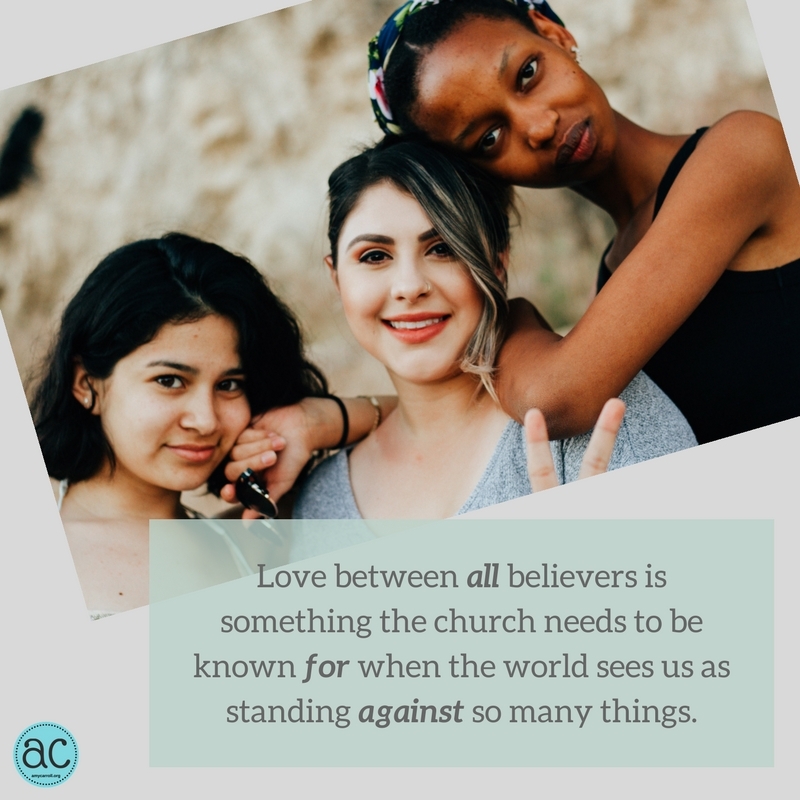 Love between all believers is something the church needs to be known for when the world sees us as standing against so many things. I believe it’s true, and yet I’ve been paralyzed, not knowing how to start and being afraid that any move I made would be the wrong one. God has done a lot in both my mind and heart in the last few months through our group, and I’m excited to share here with you as things unfold. But there’s one essential element that I’m having to go back and refine an element that I’ve been almost completely missing before I can really move forward. I’m learning to listen even when the conversations are hard. Even when the ideas clash with my preconceptions. Even when the differences seem insurmountable. The difference between debate, discussion and discourse. A couple of simple scripts to use when you get in a difficult conversation. Did you catch it? I hope you’ll work on this with me. More to come on this topic as I learn. What is God teaching you about building bonds with people who might see things differently than you? 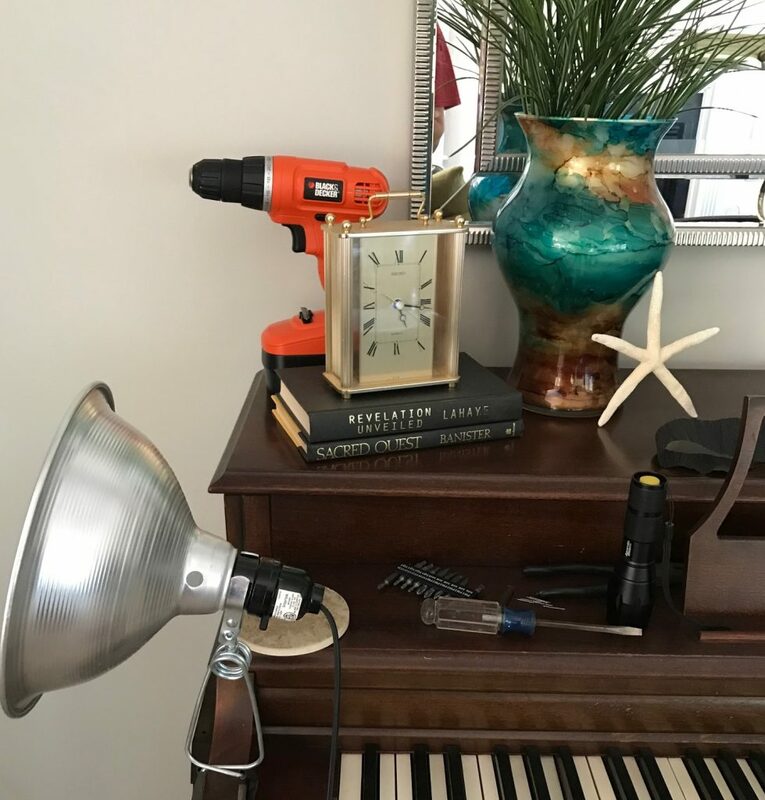 This is a baby step toward change in me and toward the change I believe I’m responsible to create, but it’s an essential step toward developing a crucial skill. Congratulations to the winners of the giveaway packages! Do you feel stuck and frustrated? Is your heart full of purpose, but you don’t know how to get to the dream? I felt the same way eight years ago, but I’ve learned that calling is more about steady growth than sudden leaps forward. 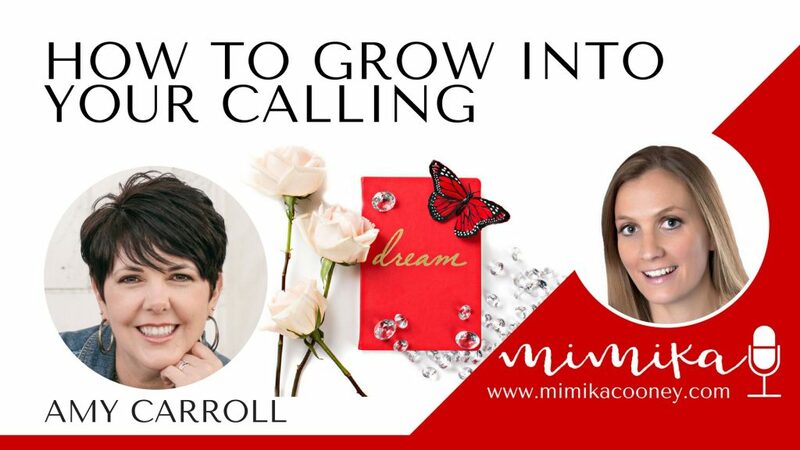 I talk all about it with Mimika Cooney in this interview. There are 3 simple steps I share along with a free handout that I believe will help you move forward. Click here to access the interview. There are lots of great interviews at the summit page, so check them all out! Wait. Sorry! My day-dreaming took over, so I’m glad you’re still here. See, just like I said in today’s devotion, seeing work as drudgery happens to the best of us. 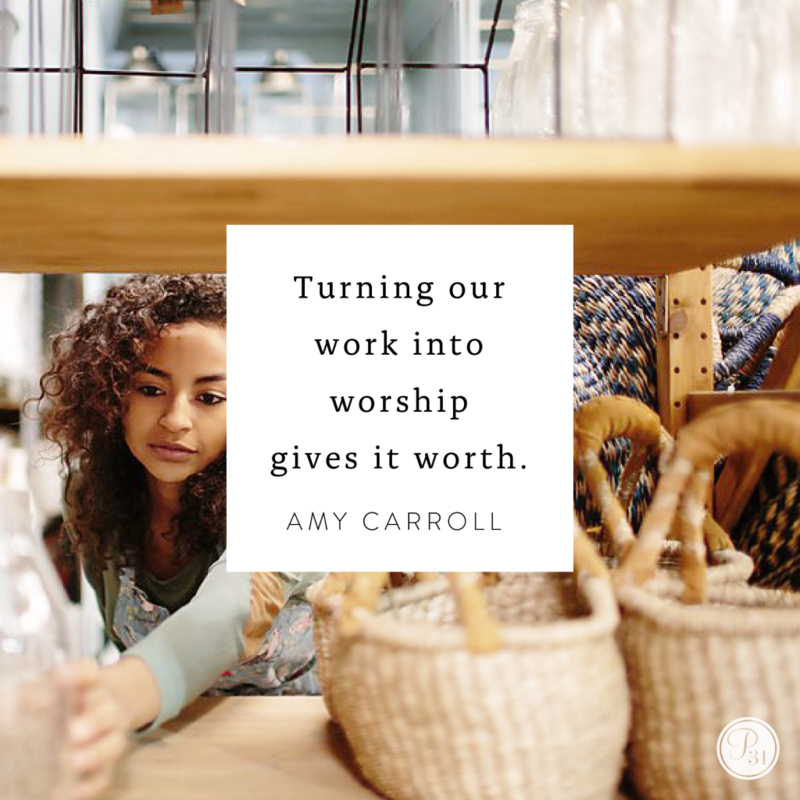 Only turning our work into worship gives it worth. Let’s start with the promises. God promises us JOY and TRIUMPH, opposites of drudgery. He says we’ll feast on our inheritance, a picture of abundance instead of scarcity. That sounds amazing, doesn’t it? Really different than dragging ourselves through each work day. But there are some “ifs” that precede the promises. To receive those blessings, God tells us that we need to keep the Sabbath holy, call it a delight and follow His ways rather than our own. There’s so much here that we could spend weeks just on this passage. The gist is that the Sabbath is meant to be a blessing to us, something for our benefit that increases our joy. Let’s embrace that truth instead of believing that Sabbath is an inconvenience (which I have to confess I’ve done for years)! I don’t want to lay out a set of rules about how that’s supposed to look, but I want to encourage you to do what I’ve been implementing better recently. Take a day off to worship. To rest. To relax and enjoy. It’s strange how simply taking a Sabbath changes the rest of my workweek, infusing it with more joy. I laughed, but he’s right. Every job we’ll ever have has up-sides and down-sides. Focusing on the positive will help us see our work in a better light than if we focus on the parts that we don’t like. Now, on the other half, write down all the things you enjoy about your job. Once you’re done, pray and ask God to help you focus on the positives. 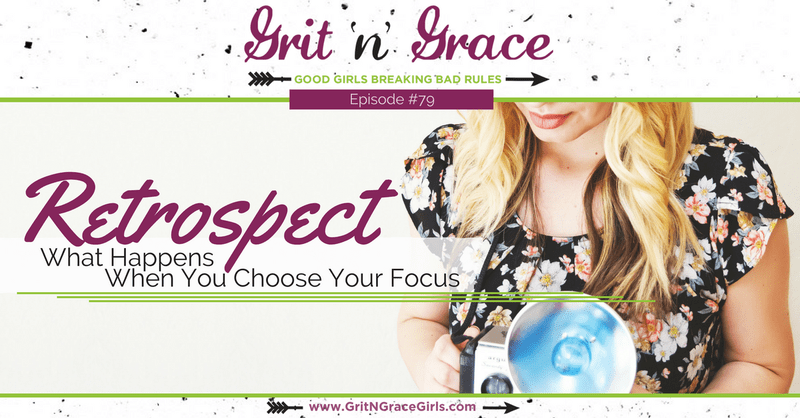 As my friend Holly always says, “What we focus on grows.” She’s so right! Multiple times, this little exercise has shifted my feeling about my work back toward joy. 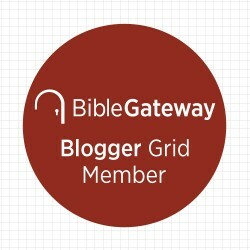 If you’d like to hear more about joy and worship in our work, I’d love to introduce you to Grit ‘n’ Grace, a podcast that I co-host with Cheri Gregory. Click on the graphic below to visit our site and listen. We’re all about laughs with learning mixed in, so we hope you’ll subscribe and join us every week! Yes, it’s true. I’ve made no secret of my list addiction. My to-do lists keep me on track, supplement my overloaded memory and make me feel accomplished. But as I’ve shared in today’s devotion, my lists sometimes overtake my true priorities. Not good! 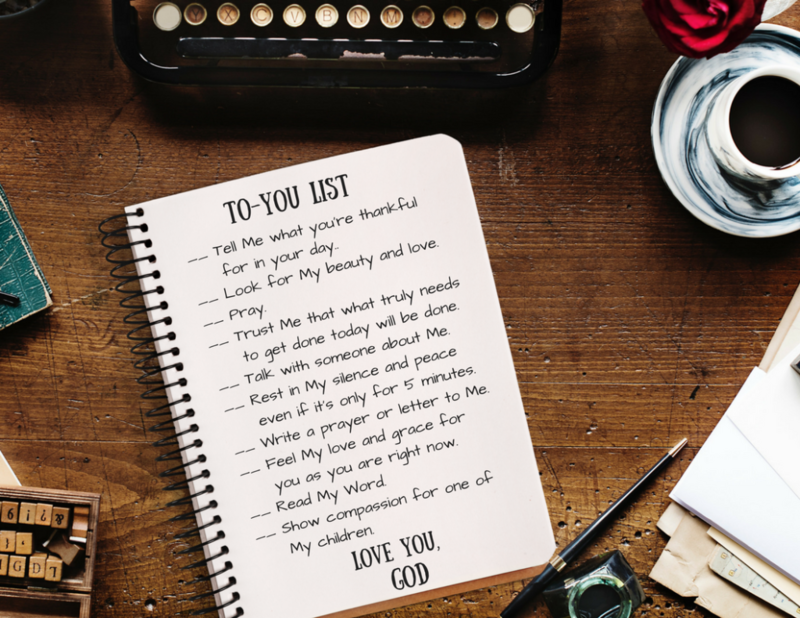 It’s the start of the holiday season, so this is just the right time to prioritize our To-You List over our to-do lists. I need to go right now and print this to put on my refrigerator so that I don’t forget! 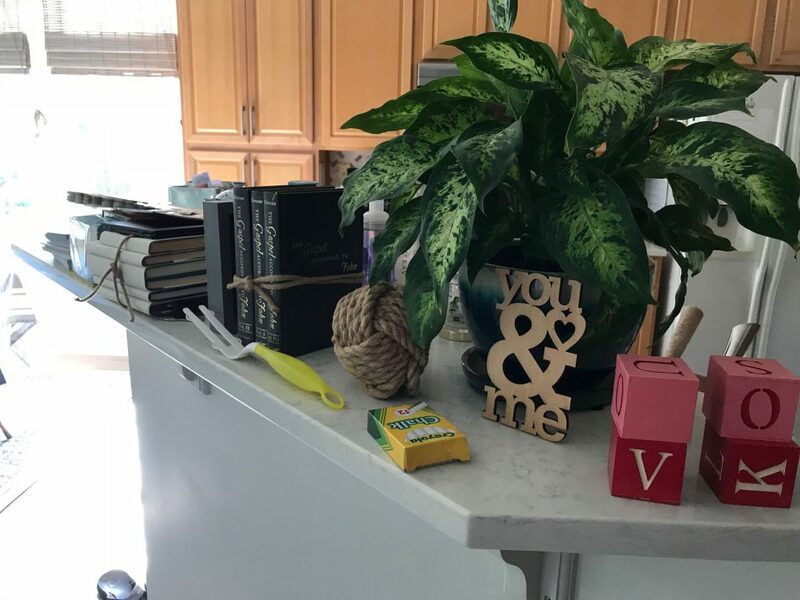 If you’d like to hear Carol talk more about how she develops her To-You List, you can watch a video of us discussing it here. That part of the discussion starts at time-marker 12:20. This video is part of my free Book Study of Breaking Up with Perfect. If you’re looking for a self-paced study, you can find all the details by clicking on the graphic above. There are blog posts, videos and lots of free goodies, I’d love for you to join our private Facebook community too!